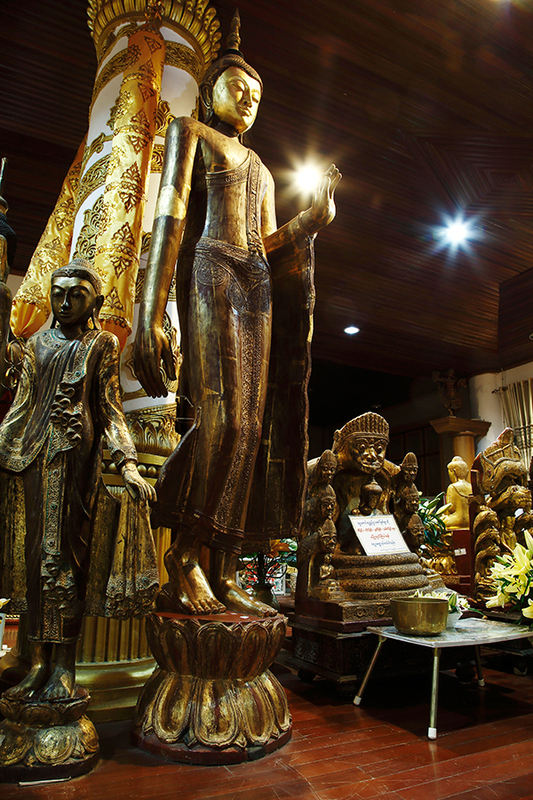 There are 301 antient Buddha statues enshrined in Aung Zabu Tawya Temple also known as Myanmar Japan Pagoda located at Mobi District, Yangon, Myanmar. In the temple, there are 4 kinds of unique statues you don’t get to see anywhere in the world but Myanmar Japan Pagoda. 1. First, the below is the picture of the oldest Buddha statue remaining in the world. It is as old as 2,600 years. Record of Buddhism shows the visit of the Buddha to a place what is now called Rakhine State, and that several Buddha statues were made in those days. 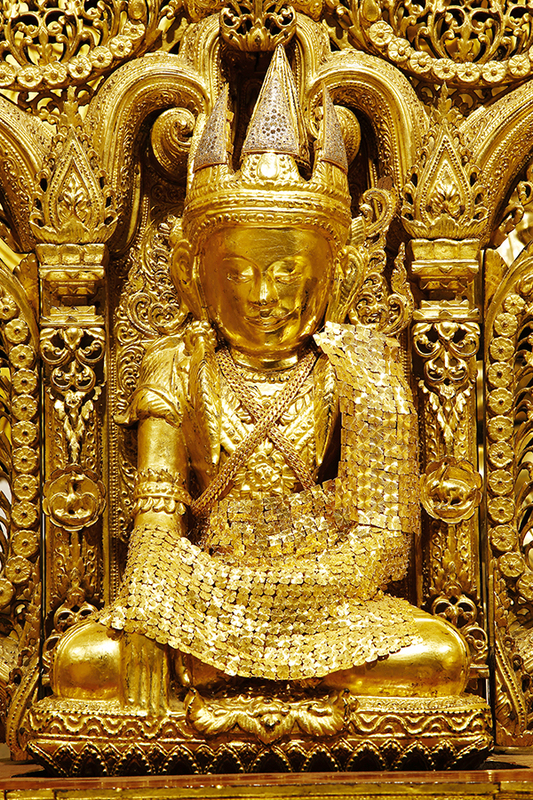 The above picture is the only surviving Buddha statue created at the time. 2. 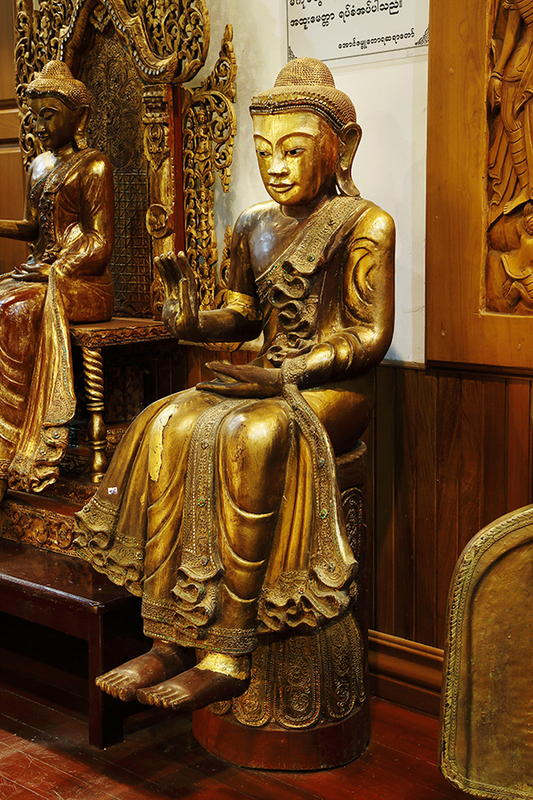 Secondly, the below pictures are the only statue of sitting Buddha remaining in the world. 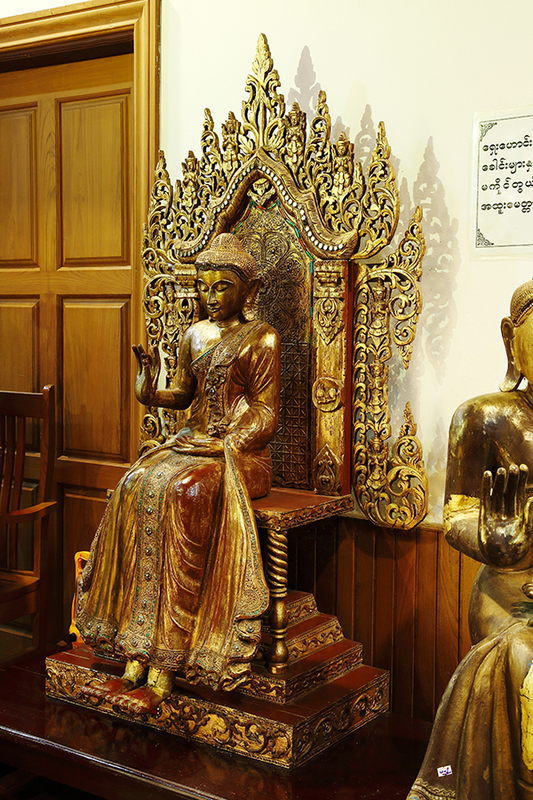 There are 4 of them enshrined in Myanmar Japan Pagoda, and no other countries or temples have this type of statue. 3. 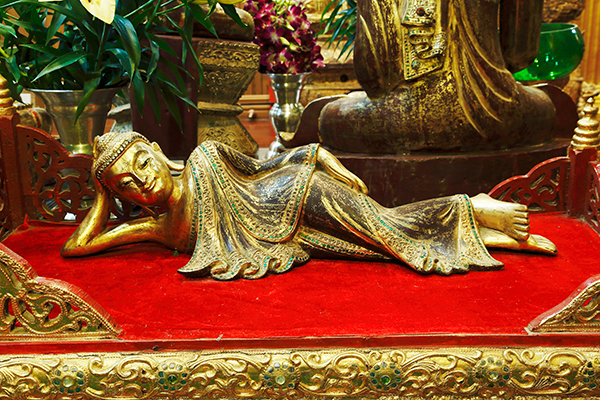 There are many reclining Buddha statues in Myanmar and Thailand, but there are only two of them that are raising their upper bodies remaining in the world. 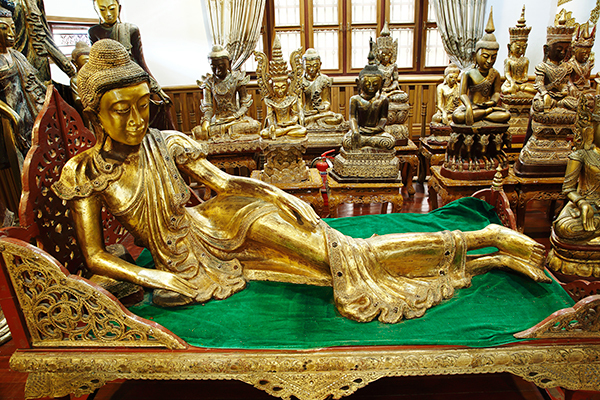 It is displayed in Myanmar Japan Pagoda as well as the sitting Buddha statues. 4. Lastly, the below picture is the only one statue of standing Buddha remaining in the world. This statue slightly bends its right knee. 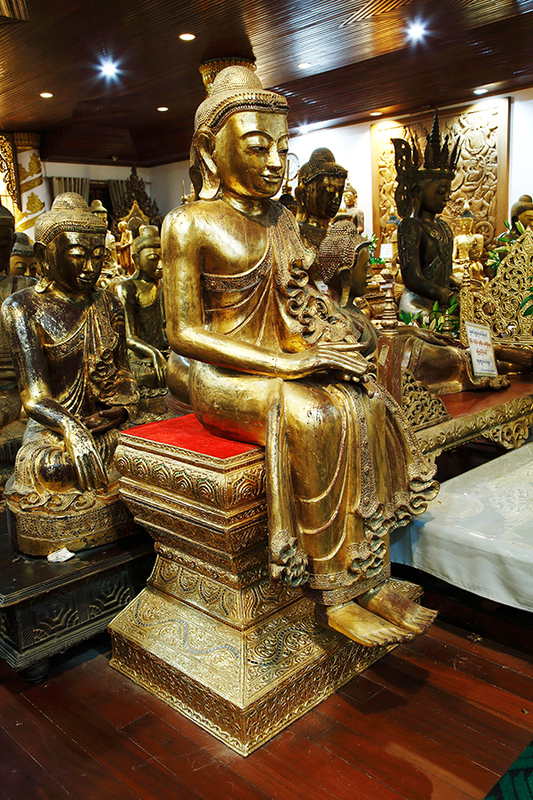 There is a tradition that the Buddha bent his right knee towards the people when they did not meet the will of the Buddha for the first and last time during the Buddha’s lifetime. This non-verbal language represents the meaning of “Follow my will”.